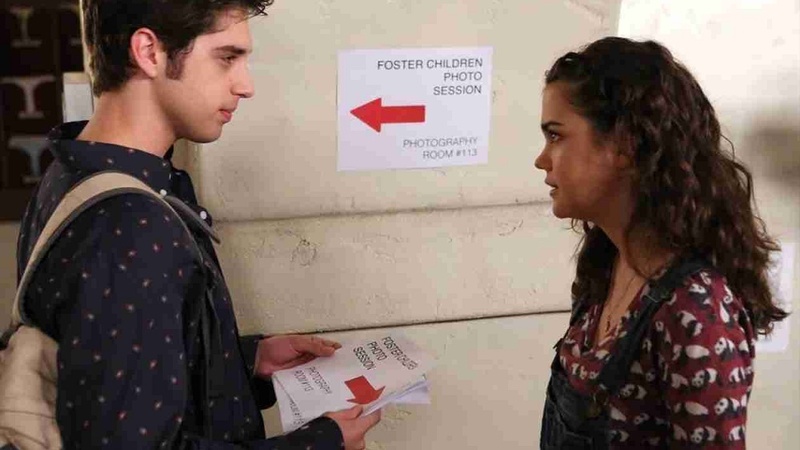 The Fosters‘ summer finale came and went in a flash. To a certain extent, we even got what we wanted. But what’s ahead for Brandon and Callie? Maia Mitchell has high hopes. We caught up with Maia Mitchell before the finale to talk about what’s ahead and what her hopes for Callie’s future are. The questions we tossed around most, as fans, this season were whether Callie and Brandon should be together and who/what Callie would choose for her life. Were her feelings for Brandon real? Or was he just a pleasant escape from the craziness of her life? More: Did the show sacrifice Callie’s future for the sake of teaching a lesson? So, is she really in love? Of course, the follow-up question is who would Mitchell choose? Callie has had two significant relationships this half-season — one with AJ and one with Brandon. Who would Mitchell like to see Callie end up with? We think they both have growing up to do — and we can’t wait to see it in the next half of the season. Did you like where we left the Adams-Fosters families in the summer finale? Tell us in the comments below.